Farmington, CT – KBE Building Corporation recently awarded $19,000 in scholarships to 19 seniors graduating from the Connecticut Technical High School System. KBE first awarded scholarships to students from the Connecticut Technical High School System in 2014 as part of the firm’s 50 Ways to Make a Difference philanthropic initiative. To date they have provided $53,000 in awards. To be eligible for scholarships, students must be pursuing building industry-related higher education, such as four-year college programs for structural engineering, civil engineering, mechanical/electrical engineering, construction management, or architecture. Students pursuing certification programs for building trades such as electricity, plumbing, or HVAC are also eligible. The 2018 scholarship winners include: Tanairi Acevedo-Ramos (New London), Selena Anderson (Hamden), Jordan Balogh (Windham), Jamal Boujjaj (Meriden), Cody Caetano (Enfield), Collin Couillard (South Windsor), Josh Donaghy (Bristol), Jason Franceschini (Cheshire), Frantzeska Guerrier (Hamden), Johnathan Ivan (Canterbury), James Hannon (Thomaston), Ciara Hubertus (New Fairfield), Adam Karpeichik (Torrington), Brooke Langley (Moosup), Amira Richardson (Stratford), Anthony Rizzi (Stamford), Medjina Sanon (Norwalk), Cody Whittemore (Torrington), and Nicole Zalewski (Portland). This year’s scholarships were presented to students during a ceremony at KBE’s headquarters in Farmington on June 13. 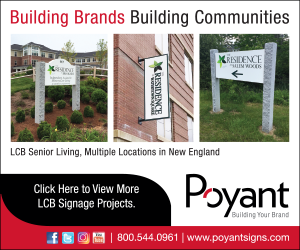 Guest speakers included Chris Fryxell, president of the Associated Builders and Contractors-Connecticut Chapter, and Assistant Conn. Senate Republican Majority Leader Henri Martin (31st Senatorial District). The awardees represented 18 towns and cities throughout Connecticut. Scholarship Sponsors include: MEC; AON Risk Solutions; Barrett, Inc.; The Butler Company; Central Connecticut Acoustics, Inc.; Cohn Reznick, LLP; Ct Concrete Construction, Inc.; Griffin Electrical Contractors, Inc.; Macri Assoicates, Inc.; Master Millwork, Inc.; McCarthy Concrete, Inc.; Readco Development; Richard’s Corporation; Schindler Elevator Corp.; Shepard Steel; Tucker Mechanical; and Xenelis Construction Co. Inc.
Other sponsors include: United Steel (dinner sponsor); Ducci Electric and MJ Daly (lunch sponsors); Professional DryWall Construction and XTX Associates (cart sponsors); Interior Building Contractors (cigar sponsor); Daniel’s Caulking (dessert sponsor); Elite Construction & Ferguson Mechanical Co. (cocktail sponsors); Blakeslee Prestress (putting contest sponsor); Garcia & Milas (longest drive sponsor); and Cherry Hill (closest to the hole sponsor).